What is Aloo Matar ki Sabji? 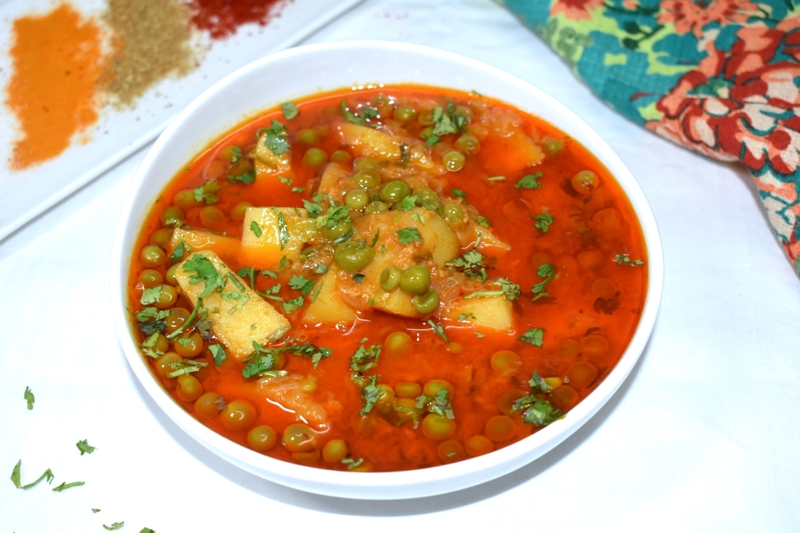 Potatoes and peas cooked in mildly spiced gravy which has the hint of whole spices, sweetness of onions and heavy cream (malai), which compliments the flavour of peas is aloo matar ki sabji. Aloo matar is very common main course preparation in North India. 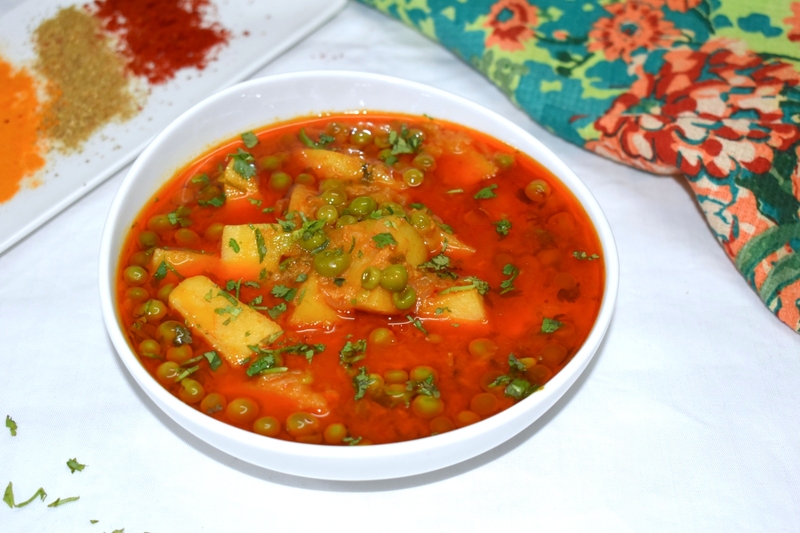 With the onset of winters, as the markets start getting flooded with fresh peas, aloo matar ki sabji is prepared in every household and each has its own recipe for it. I make aloo matar in many ways, but when I make it for the first time in the season I use this recipe as it is my favourite. The gravy of this aloo matar recipe is not a spicy one; it is on a sweeter side, something that goes very well with peas. 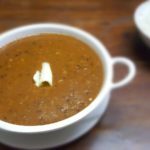 Onion tomato gravy is very common gravy for most of the North Indian dishes. However the ratio differs from recipe to recipe. This recipe uses good quantity of onions. 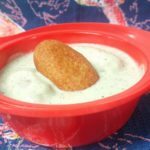 Malai is added which gives creamy texture to aloo matar ki sabji. Another thing critical about this recipe is the proportion of aloo and matar. I use 3 medium sized potatoes and ¾ cup fresh peas. At the back of my mind I have this calculation, ¼ cup peas for 1 potato!! 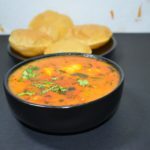 In all, everything falls into place and this remains my favourite aloo matar sabji recipe. Other winter special main course recipe is methi malai matar. The three main ingredients are perfectly combined in the recipe given here. Another one is mix veg which is a must try with all the beautiful vegetables available during winters. Find the recipe here. 1. Heat 3 tbsp oil and add whole spices i.e. 6 black pepper corns (sabut kali mirch) and 3 cloves (laung). Cook till aromatic. (In the image you can find more whole spices than mentioned. This is because I tried the recipe with those extra spices but did not get any better results. So ignore those spices). 2. Add 3 chopped onions. Add in salt to taste. Cook till translucent. Do not overcook the onions. They should be pink and not brown. 3. Time for dry spices. Add 1 tsp red chilli powder, 1 tsp coriander powder and ¼ tsp turmeric powder. Cook for 1 minute. 4. Add 1 cup tomato puree. I like to use homemade tomato puree instead of pureeing the fresh tomatoes. It gives better results in less time. You can find the recipe for homemade tomato puree here. 5. Cook till oil oozes. 6. Next is malai or heavy cream. Malai will certainly give a better texture but in case you don’t have malai, add heavy cream. 7. 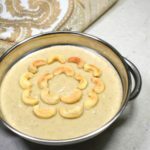 Cook till malai is well incorporated in the gravy. 8. Add 3 peeled and cut potatoes and ¾ cup peas. 9. Cook for 5-7 minutes. 10. Add 1 cup water. 11. Pressure cook on high till 1 whistle. Thereafter cook on low flame for 2-3 minutes. Let the pressure release. 12. Check seasoning and consistency. Garnish with chopped coriander. 6. Next is malai or heavy cream. 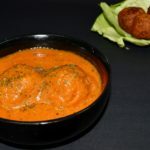 https://en.wikipedia.org/wiki/Malai will certainly give a better texture but in case you don’t have malai, add heavy cream. 13. 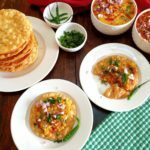 Serve with hot chapattis. Bon appétit.